These acrylic risers are constructed of 1/4" clear acrylic for an extremely durable products. These risers can display heavier items without any worries of failing. Acrylic risers allow you to create custom display areas to your own tastes easily. The simple design also blends in well with any pre-existing décor, and it does not distract the customer from the product on display. 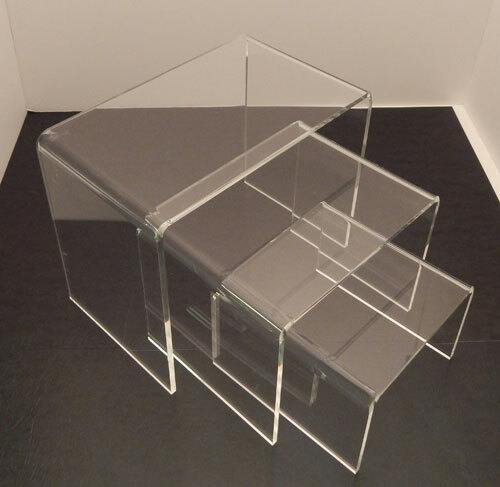 The dimensions of these acrylic risers allow them to be nested within one another as well. Placing products in key areas within your retail space is important and these acrylic risers make that task much easier.